Forget those regular waffles. 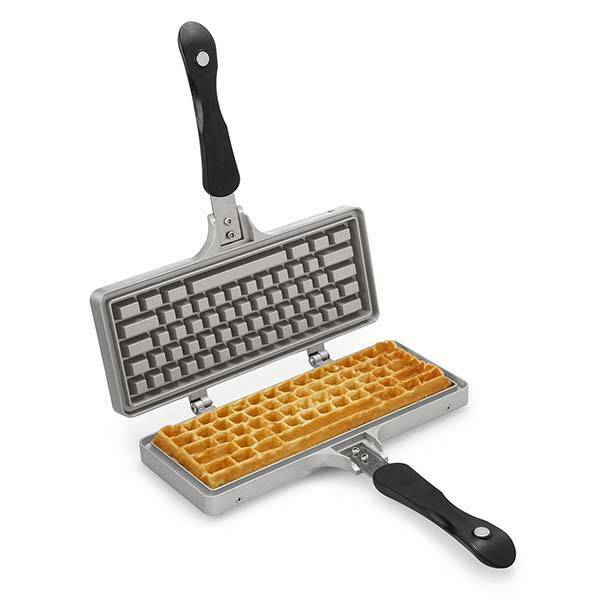 For a native geek, you need some specials to keep you full so the keyboard waffle iron was born that allows you to shows off your geeky style when enjoying your breakfast. This is a pretty cool and practical waffle iron measures 12.5 x 10 x 1.5 inches. 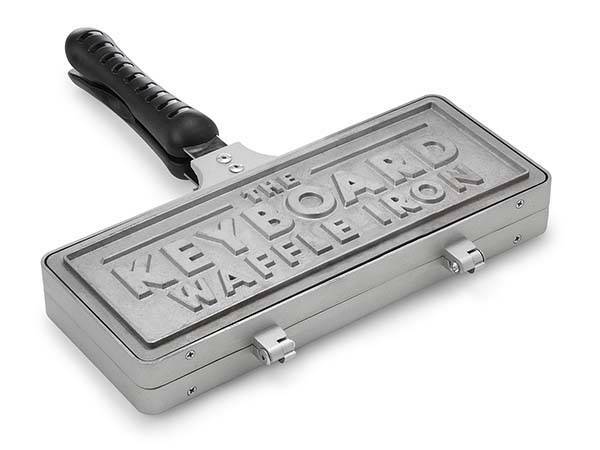 As we can see from the images, the waffle maker shows off two hinged aluminum plates with computer keyboard shaped molds in order that you can use it to bake keyboard shaped waffles that encourage you to play with your food. Moreover, the keyboard waffle iron features a portable design with two bake-lite heat resistant handles so you can put it on the grill or even gas or electric stove tops, letting you make fresh and delicious waffles in your home or during a camping trip. The keyboard waffle iron is priced at $69.99 USD. If you’re interested, jump to Amazon for more details. BTW, also don’t miss the pixel waffle maker and more related cool stuff by following tags.